Kirkwood is ranked No. 14 in North America for its total snowfall during an average season. Santa is in the Village Plaza today! 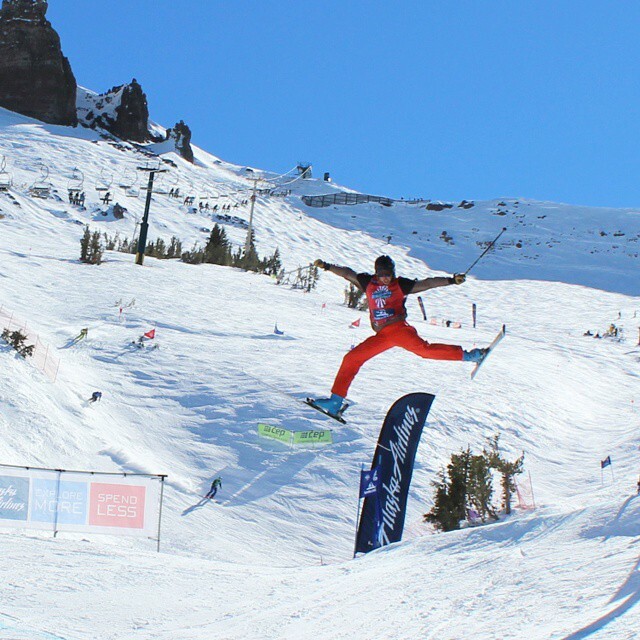 Twenty years ago, Kirkwood was a back road destination that seemed to attract only a handful of washed-up Ivy League racers, middle-aged social pariahs (read: telemarketers), and budget-minded families seeking a cheaper alternative than other, posher, Lake Tahoe destinations. 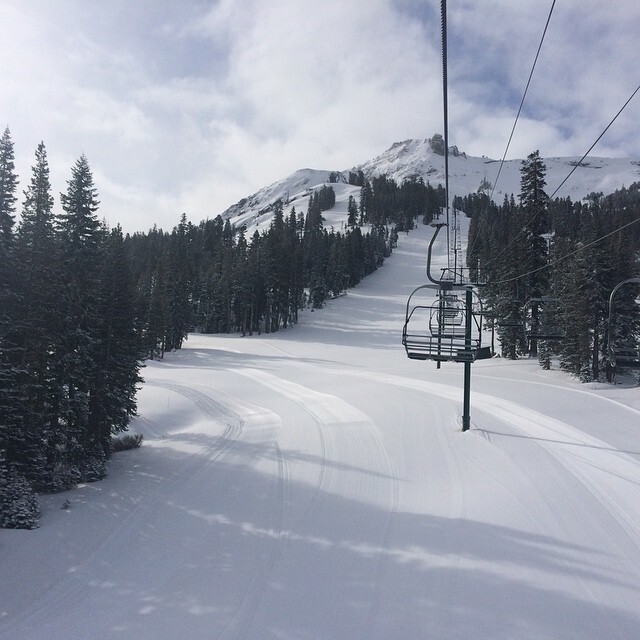 The last two decades, however, have brought evolution, including a series of base area upgrades, modest lift expansions, and the very recent construction of a $30-million, 25-mile long electrical transmission line connecting directly to the resort that will mitigate power outages and relegate the resorts’ diesel generators to recycling fodder. With Vail’s purchase of Kirkwood, the rest of Tahoe has been put on notice. 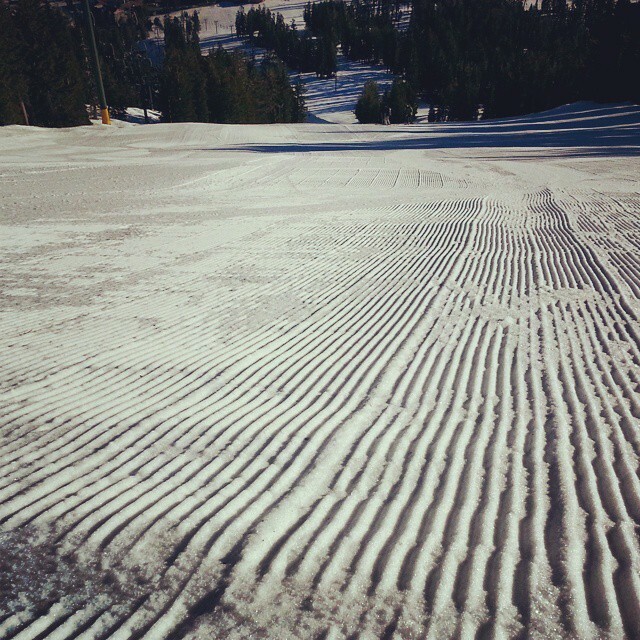 Kirkwood’s terrain offers everything, from sauntering beginner runs to knee-buckling chutes. Kirkwood’s vertical drop and skiable acreage don’t impress quantitatively. But in ‘49er hydraulic-mining fashion, Kirkwood washes away conventional metrics with what we like to call slope access efficiency. 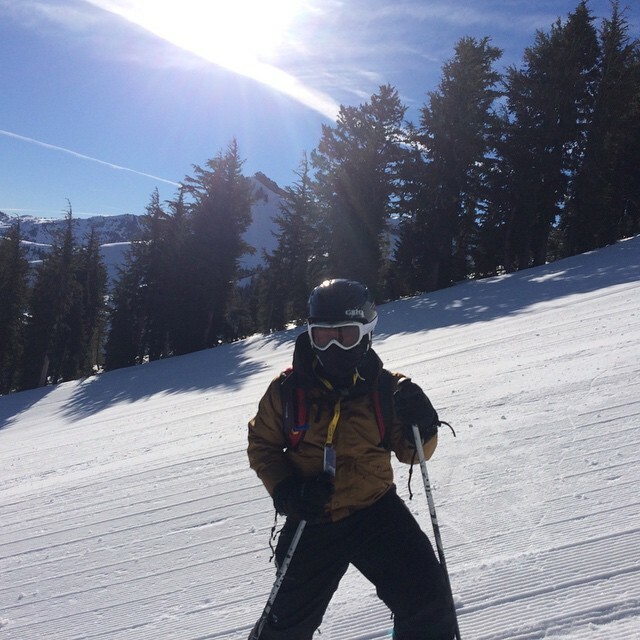 Getting to some the finest expert terrain in Northern California, like Wagon Wheel and Sentinel Bowls, can be had directly from the base area. No tram lines necessary. Nor do skiers of this best terrain need to spend time traversing garbage groomers to get to the base. 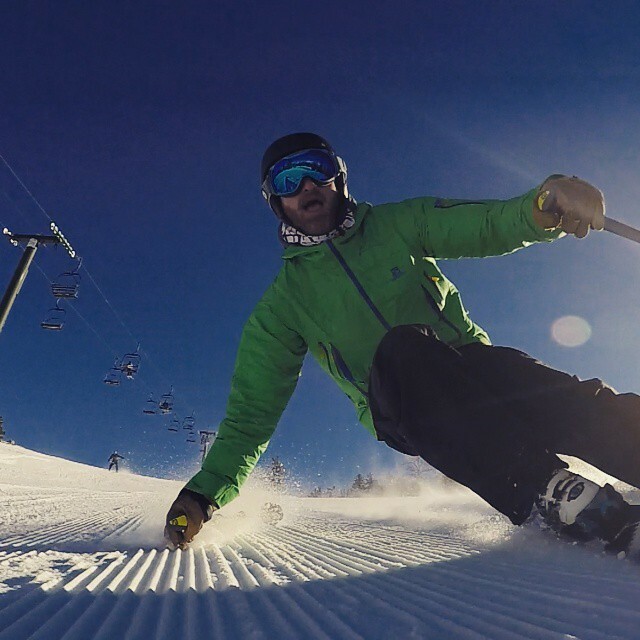 Kirkwood offers maximum advanced and expert terrain with minimum pain. 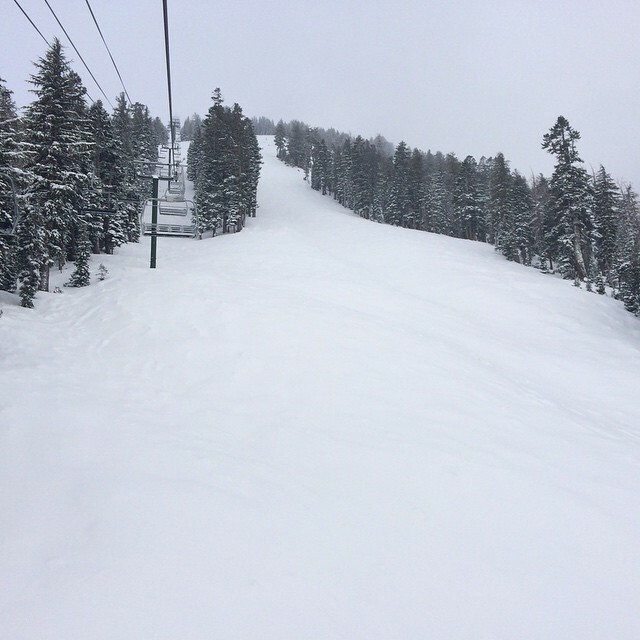 Powder chasing tip: Palisades Bowl, skier’s left from Cornice Express, is a local favorite on storm days. With its widely spaced trees and gentle pitches, the stashes here are looted quickly after a storm. So if you want to hit it, don’t dither, just hit it. Some say the snow in this part of the valley contains pixie dust, which makes it lighter and drier than snow found in other parts of the Sierra Crest. Perhaps this is marketing spin, or a carryover from gold miner’s lore, or something more base. Whatever it is, it’s undeniable that the veins and washes of Palisades Bowl can get deep quickly on account of the bowl’s ideal location (leeward side of Palisades Ridge), and protection from a coniferous visor of trees. For you Martha Stewarts out there, don’t forget to check out the Sunrise lift on the backside of Thimble Peak. Slow down as you approach the arts and crafts fair of Coyote Trail and Lower Fawn Ridge; the volcanic crags, nubs, and gullies in this area are a tricksters delight. Make sure your edges are sharp when you descend down the steeps of Hully Gully or Happiness Is. Earn bonus points here for elevating your planks in your Aunt Viola’s hand-crocheted sweater.Heartier souls may be wise to check out the E:K Cat Tours, which offer a backcountry experience without the hassle skinning or boot packing. 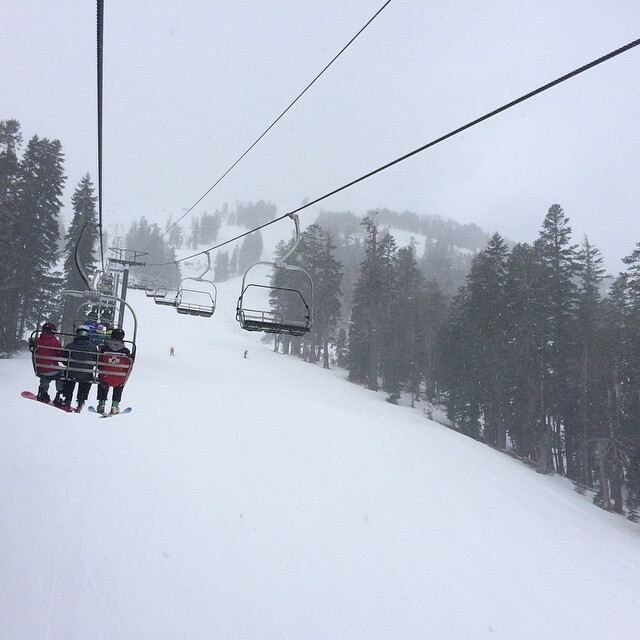 The service can fill up fast during red alerts, so you’d be wise to book in advance when big Sierra storms threaten. 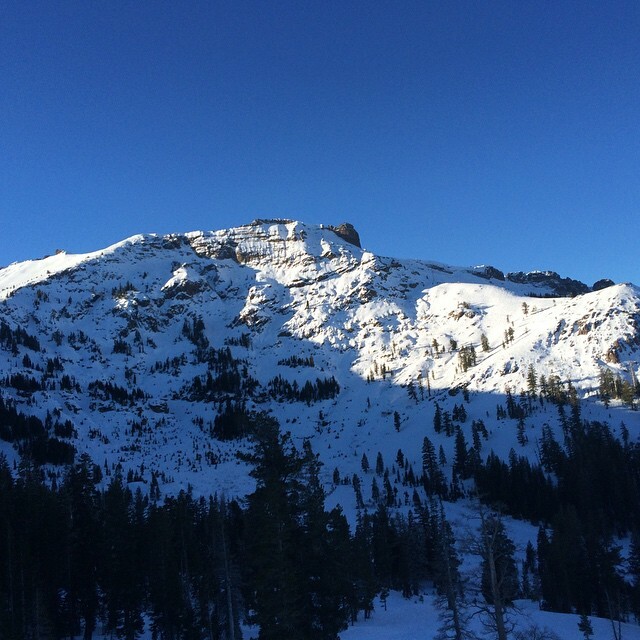 Kirkwood is tucked away 30 miles from the nearest town. 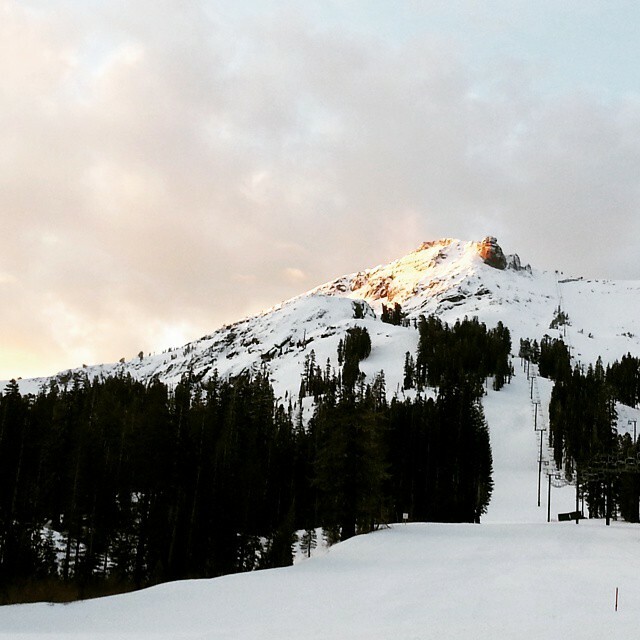 Being away from the well-tread strip of South Tahoe is a big part of Kirkwood’s attractiveness to some people and also helps to keep crowds to a minimum. During bad weather, staying at the mountain can pay dividends when nearby passes are closed or have chain restrictions instituted. For recent college grads or ski bums willing to rough it, nearby Grover Hot Springs State Park offers winter camping and access to hot springs (a more ethical alternative to hot tub poaching at the slopeside condos). Getting to Kirkwood is not a mission to be taken lightly. Hwy 50 (Echo Pass) and Hwy 88 (Carson Pass) are formidable ramparts in bad weather, even in a Nissan Armada or a chained-up Volkswagen. So whether approaching from the north or west, be mindful that you’re in high Sierra country and drive carefully. If you doubt your safety, turn around. The gnomes of Hope Valley, and the Amador County Sheriff, thank you in advance. 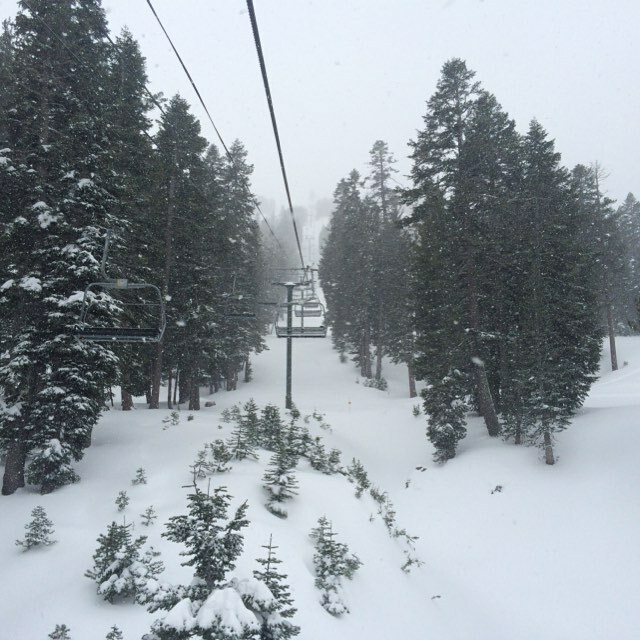 At Kirkwood 21.5% of winter days see 6 inches or more of snow and 45% of winter months see 90 inches or more. This is elite, blue-chip style snow frequency, rivalled only by a handful of areas in North America. However, Sierra snowfall is notoriously volatile, so 18% of winter months see less than 30 inches of snow. Sierra average snow density of 12% is not the blower of the Rockies but easily managed on modern fat rockered skis. With Kirkwood’s high base elevation of 7,800 feet rain is rare and snow quality among the best of the Sierra. 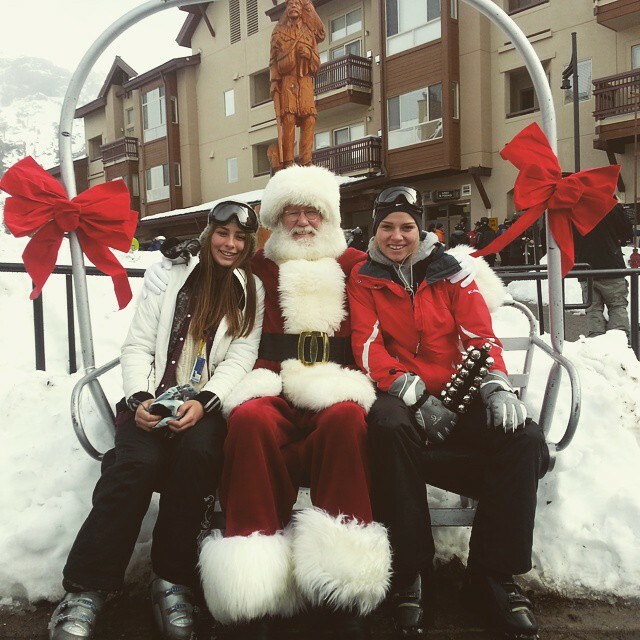 With its ample snowfall and high base, Kirkwood averages 78% open at Christmas, probably the best in the Sierra. However, Sierra droughts can be extreme, so even Kirkwood has been less than ¼ open at Christmas in the worst 15% of seasons. Kirkwood is predominantly north-facing, so snow preservation is very good, the best at Tahoe and only exceeded in the Sierra at Mammoth. 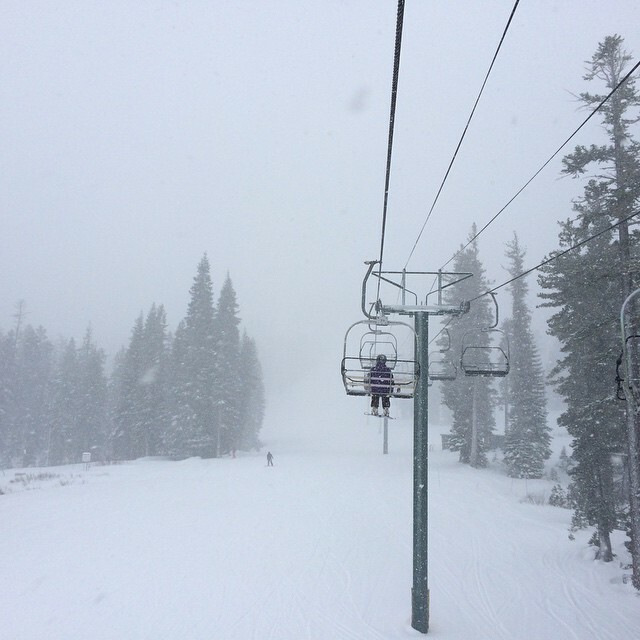 Kirkwood is the top area in California for overall snow reliability.